After thinking a lot about the quality of human who may be the next leader of the free world, I decided that this week should take a break from our often reprehensible species and turn to an altogether different–and arguably superior one. About 15,000 years ago, dogs began their worldwide, evolutionary divergence from the gray wolf (canis lupus–one of the most cooperative and social species of mammals on Earth). And as a result of breeding, dogs have now become the most variable mammalian species on the planet. In fact, the domestication of dogs actually preceded the domestication of any other animal as well as agriculture by about 5,000 years. Researchers suggest that this process began when early humans left their discarded food at the edges of their campsites, attracting the wolves who were bold enough to approach. In turn, these wolves bred pups who also learned they could approach the humans, and over generations, this comfort between species only increased. Over the subsequent thousands of years, this symbiotic relationship turned wolves into “dogs” and then dogs into man’s best friends. However, for as much as we still rely on dogs to this day (in everything from pets to assisting with law enforcement to detecting cancer from a whiff), our understanding of dog psychology is rather limited. So, what does the research have to say about them? First, dogs do seem to have some advantages in human-animal relations compared to other species. For example, dogs (vs. other canines) are able to much more quickly learn human communicative gestures and have about a 4x larger window to form a significant bond with humans. However, dogs’ affiliation for humans can sometimes backfire as more than 50% of them exhibit signs of separation anxiety when left alone, and when it comes to difficult problem-solving tasks, dogs (compared to wolves) are much quicker to give up and turn to humans for assistance. Still, dog’s attunement to and understanding of humans is rather remarkable. 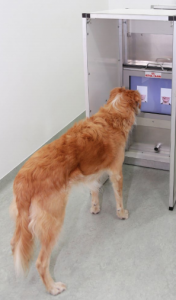 For example, when dogs were trained to enter an fMRI machine (no easy task), scientists saw that the reward pathways in the dogs’ brains responded to positive words given with positive tone–which was not the case for random words spoken with positive tone or positive words spoken with flat tone. That is, dogs separately recognize words and inflection. 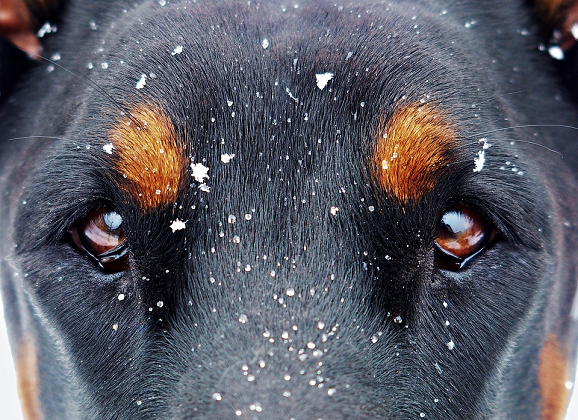 Furthermore, dogs are pretty remarkable at detecting emotional cues in faces. Studies have shown that dogs exhibit empathy-like behaviors toward a crying human but won’t do so for a talking or humming one. In fact, one experiment demonstrated that dogs could match together pictures of the upper and lower parts of a novel human face if both picture-halves were displaying the same emotional expression. An example picture of the face-matching task the dogs were given. One of the reasons dogs are so good at understanding humans is because, in a way, they are like us. For example, in examining dog personality, aggression or submissiveness demonstrated as a puppy shows nearly as much consistency in adulthood as those same traits between infant and adult humans. * Furthermore, dogs are able to demonstrate some basic cognitive skills, such as distinguishing which box will have more food in it depending on the number of shapes attached to the outside. Thus, it is hard to argue that dogs really are not remarkable beings. For as one researcher wrote: Their ability to “trick” a larger, stronger, and more intelligent species into supporting its welfare is striking enough. Psychophilospohy to Ponder: Although it may seem ridiculous to ask this question, I’m going to anyway: Have you ever wondered why we don’t eat dogs? Although they have been domesticated and proven to be intelligent creatures, so, too, are pigs and we have no problem asking for extra bacon on our double cheeseburgers. So why have dogs escaped our carnivous intentions? *It is worth noting that one personality trait, “responsiveness to training,” as measured when they were puppies had relatively no predictive value for their responsiveness to training in adulthood. Andics, A., Gábor, A., Gácsi, M., Faragó, T., Szabó, D., & Miklósi, Á. (2016). Neural mechanisms for lexical processing in dogs. Science, 353(6303), 1030-1032. Fratkin, J. L., Sinn, D. L., Patall, E. A., & Gosling, S. D. (2013). Personality consistency in dogs: a meta-analysis. PLoS One, 8(1). Huber, L (2016). How dogs perceive and understand us. Current Directions in Psyhcological Science, 25(5) 339-344. Udell, M & Brubaker, L (2016). 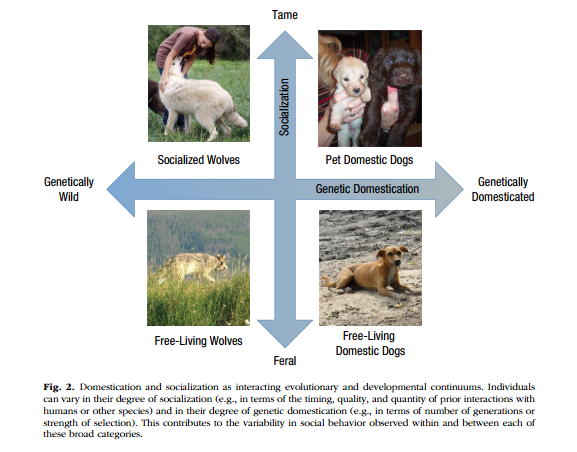 Are dogs social generalists? 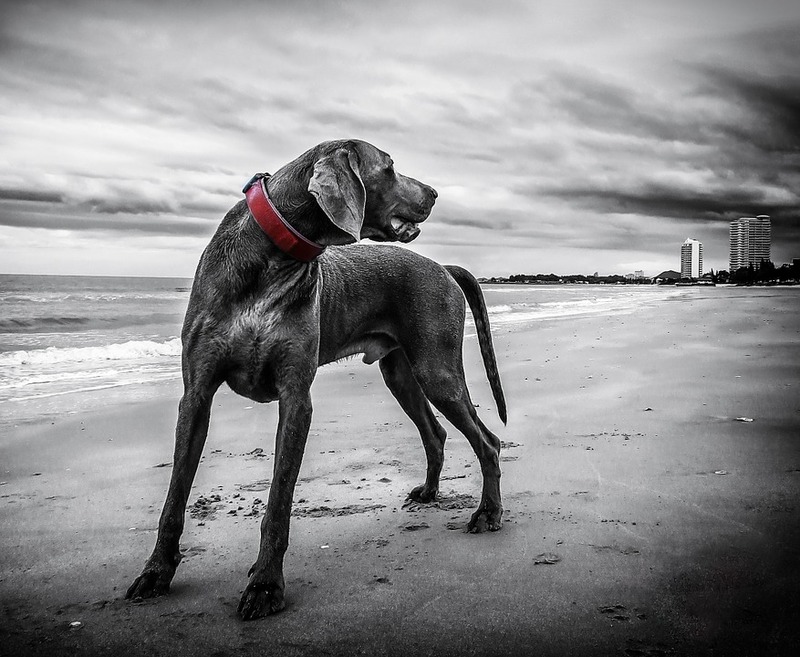 Canine social cognition, attachment, and the dog-human bond. Current Directions in Psyhcological Science, 25(5) 327-333. Roberts, W. & Macpherson, K. (2016). Of dogs and men. Current Directions in Psyhcological Science, 25(5) 313-321. 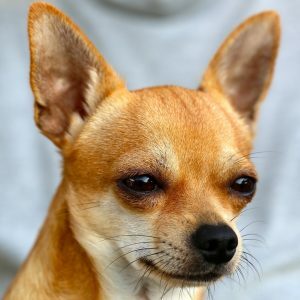 Dogs have a tremendous ability to read humans emotions and subtle gestures, it’s fun to make that connection with them. I think that “dog psychology researcher” would be one of the best jobs on the planet.